"Stayed here for a couple nights before leaving the island an..."
5 travelers have booked today. 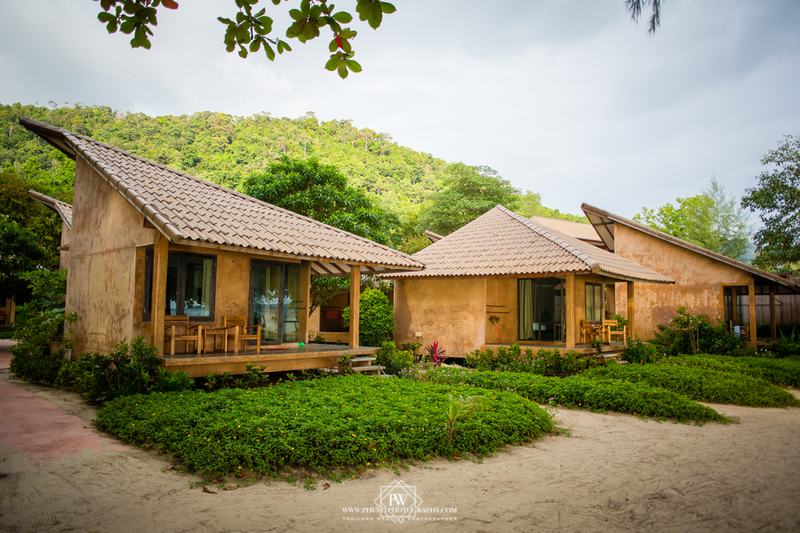 Have a question for Flora I Talay Resort? 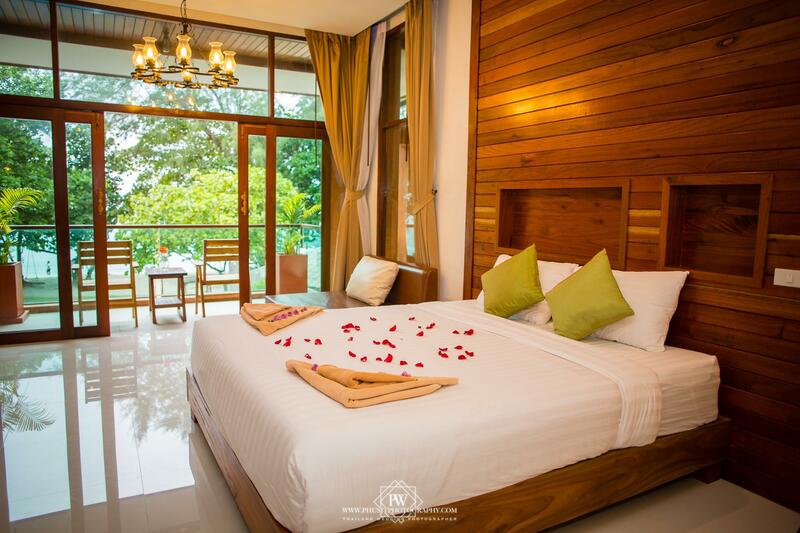 "Beach bungalow is modern, clean, AMAZING view on a beautiful beach (as pretty as white sand beach)." "It is still beautiful and Klong Prao beach is still as gorgeous and serene as ever." "My family and I stayed at this property during Xmas 2017 and it was fantastic." Well-positioned in Klong Prao Beach, Flora I Talay Resort is the ideal point of departure for your excursions in Koh Chang. From here, guests can enjoy easy access to all that the lively city has to offer. With its convenient location, the hotel offers easy access to the city's must-see destinations. Flora I Talay Resort offers impeccable service and all the essential amenities to invigorate travelers. Free Wi-Fi in all rooms, daily housekeeping, laundromat, postal service, taxi service are just a few of the facilities that set Flora I Talay Resort apart from other hotels in the city. 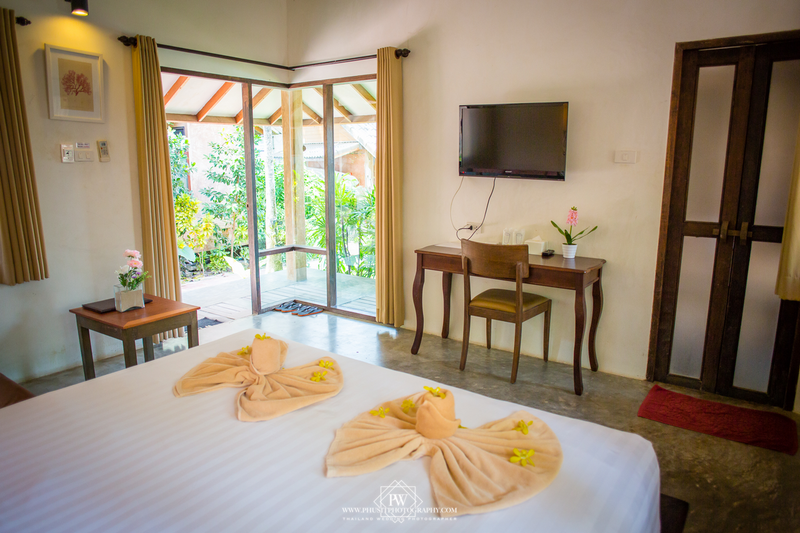 The ambiance of Flora I Talay Resort is reflected in every guestroom. television LCD/plasma screen, additional toilet, clothes rack, mirror, sofa are just some of the facilities that can be found throughout the property. Whether you're a fitness enthusiast or are just looking for a way to unwind after a hard day, you will be entertained by top-class recreational facilities such as wind surfing, private beach, outdoor pool, diving, fishing. 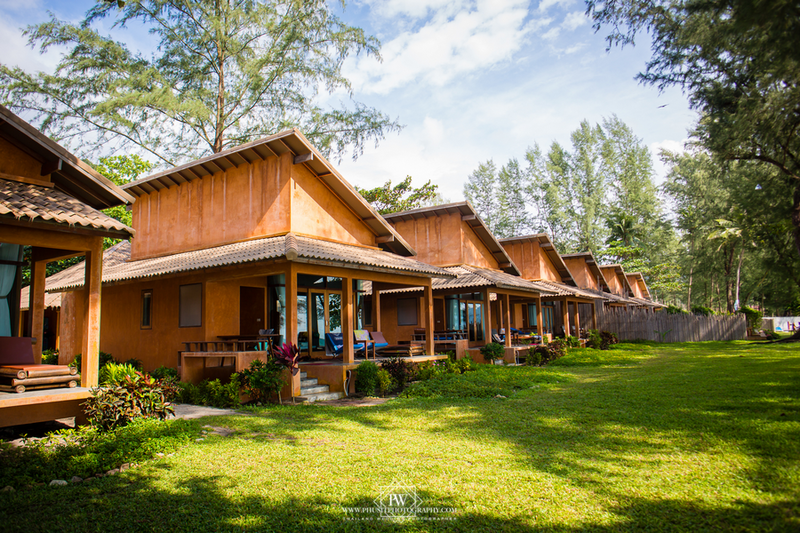 Flora I Talay Resort is your one-stop destination for quality hotel accommodations in Koh Chang. "I enjoyed my stay at this resort." Pets weighing under 5 kilograms are allowed at the property for an extra charge of THB 300 per night. Pets weighing over 5 kilograms are allowed at the property for an extra charge of THB 500 per night. Food will not be provided for pets. Guests are fully responsible for all damages caused by pets. I enjoyed my stay at this resort. The bungalows are modern and super comfortable. One bungalow is even enough for a family. I stayed by myself and I loved the tranquility it offered. The staff will make up your room on demand and you get clean towels every day. The resort is at lovely Klog Prao Beach. At night the turn the lamps on so it gets pretty romantic. The location itself doesn't offer much of a nightlife so you will need a scooter to get around. But if you want peace and a nice beach this is the place to stay. The only negative side would be the lack of safe lockers in the rooms. I would definitely go here again. The resort has a beautiful private beach with lots of shade if you wanna get out of the sun. It takes like 40 seconds to walk from the farthest bungalow to the beach. The restaurant is ok, nothing special but not bad either. The restautant staff could be a bit friendlier and more polite. Our bungalow was great. The housekeeping kept it tidy every day. Bathing towels, beach towels and handtowels were replaced every day along with all the toiletries. There are plenty of restaurants near the resort (Indian, Thai, Italian, etc). If you want to party you'll have to go a bit further south, although our resort had a DJ play music at the beach twice while we were there. Will definitely go back! Nice, quite, comfortable beds, nice beach. It has everything you need. You're really only paying for one thing here - the location. Not only is it on the 2nd nicest beach on the island, but it's also not far from the best beach -White Sand - and all the restaurants and shopping it has to offer. Other than that, there isn't much to rave about. Breakfast was not included in my room price, which was fine, because we took a 50-baht songtaew taxi to Saffron on the Sea for breakfast, which was outstanding! I stayed at this hotel once before in Jan 2017 and they had a DJ playing on the beach in the late afternoon; that added a lot to the vibe there. But sadly this time there was no music at all. On the brighter side, drinks and food in their restaurant are reasonably priced. Pro Tip: Bring a mosquito racquet along. Cons: (1) Front desk staff were clueless. (2) Garden view bungalows are very noisy (street traffic too close and resort's very loud music at night. As a result, we barely slept during our stay). Only the front beach bungalows are worth it. (3) TV reception was very bad (we didn't care that much, as we didn't come to watch tv). (4) no hot water boilers nor chairs not safety box in the rooms. (5) No fitness room. (6) rather average breakfast. (7) very long service at the restaurant (although food was good). Pros: (1) Great location. (2) beautiful peaceful beach. (3) Very nice housekeeping staff. (4) water hose in front of each bungalow to rinse one's sandy foot. We spent two nightst there and had the bungalows in the very back, so it was a bit noisy to be so Close to the road. On the bright side the Wifi was good in the rooms. The pool area was surprisingly calm and nice, although it only contained five sunbeds. The beach was really nice and big, and the breakfast had a good selection. The had cute and inexpensive coffee shop With nice coffe right by the pool. The pool bathrooms were nice and clean. Staff were not well trained and not as friendly as they should be. Wifi didn't work in the room. The only place where Wifi worked was the reception area. There was no temperature controller for shower. It was cold water and didn't have hot shower. Pros : Cozy, clean and beautiful place near the beach. You can bring your dogs here and walk along the beach together. Owner’s dogs are very welcome us. Warm and very safe place. Cons : many lizards 🦎 stay in front of my room. I found one lizard and cockroach in my room. But ok, it’s naturally. Beach bungalow is modern, clean, AMAZING view on a beautiful beach (as pretty as white sand beach). But the staff needs to improve, they are on the phone all the time, could not care less for clients, didn’t bother to say bye or ask how our stay was. The reception lady was back on her iPhone when waiting for her colleague to confirm that check out was ok, then handed our deposit money back without a look at us. What we really liked about the hotel were the small bungalows, the rather small number of people, the beautiful beach (one of the most beautiful ones on of the island) and the good restaurant directly at the beach. The breakfast was sufficient. The hotel facility was very clean as well. However, on new year‘s eve, empty bottles and the remains of the foreworks were just left on the beach and washed into the sea, which was rather shocking for us as it would maybe have taken 10 minutes to prevent that. I have stayed in Flora several times and each time they have built a new part and completely changed the atmosphere. Initially it was a great couples getaway in a romantic setting. Then it was a great place if you like a bit of a party. Now it is very much a family oriented resort. It is still beautiful and Klong Prao beach is still as gorgeous and serene as ever. However it is really trying to cater for families now and has expanded massively. I highly recommend it if you want somewhere on a quieter beach that will keep the children amused. the food is still great and most of the staff are still friendly, but you have become a bit of a number rather than a face. I stayed here last year for 8 nights, loved it so much I've come back this time for 2 weeks. The staff are lovely and the two dogs are so beautiful...they always adore a good rub or scratch. The female's name is Thon Fa meaning Sky, the male is Talay which means Sea. I hope to see them again some day. I stayed in a bungalow at the back. Street noise was not a problem ,there isn't much traffic on this island ! The room was very nice with a couple of chairs at the front to sit outside and a place to hang wet clothes. I was disappointed that there was no coffee in the room but there is a refridgerator. Between white sand beach ( taxi 50tbt) and Lonely beach if you are looking for some music at night and late night parties ( 100 tbt) The beach is long and you can cross over the inlet as it is shallow to walk. Nice beach on the other side with many rustic bungalows to see. I would stay at Flora again. con. communication is difficult with most of staff not speaking english. 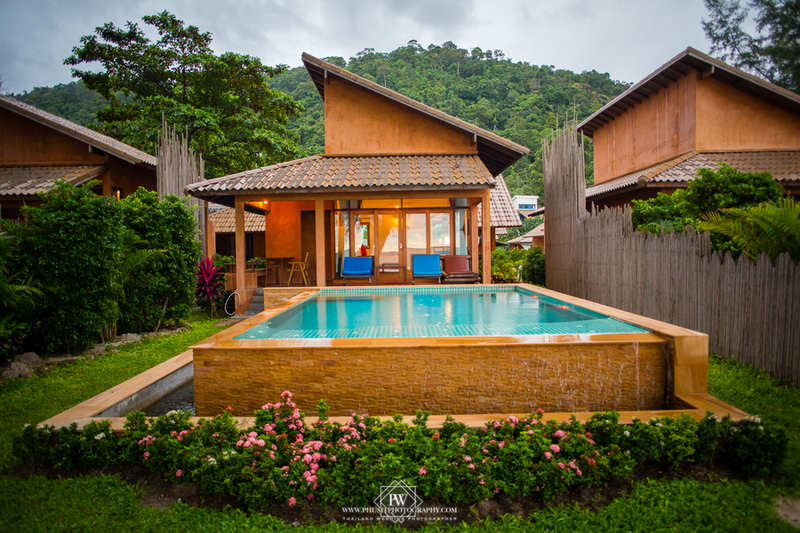 We had a wonderful week in Koh Chang staying at Flora I Talay. I can't imagine a more enjoyable beach and facilities. If you want to stay by the sea, be able to swim in the ocean and feel safe, this is the place. The bungalows were very nice and the staff was very accommodating. We have ZERO complaints. We were able to go other places on the island and felt like we were coming "home" when we would return to Flor I Talay. We totally recommend this resort, especially for families, even though we were there as a couple. 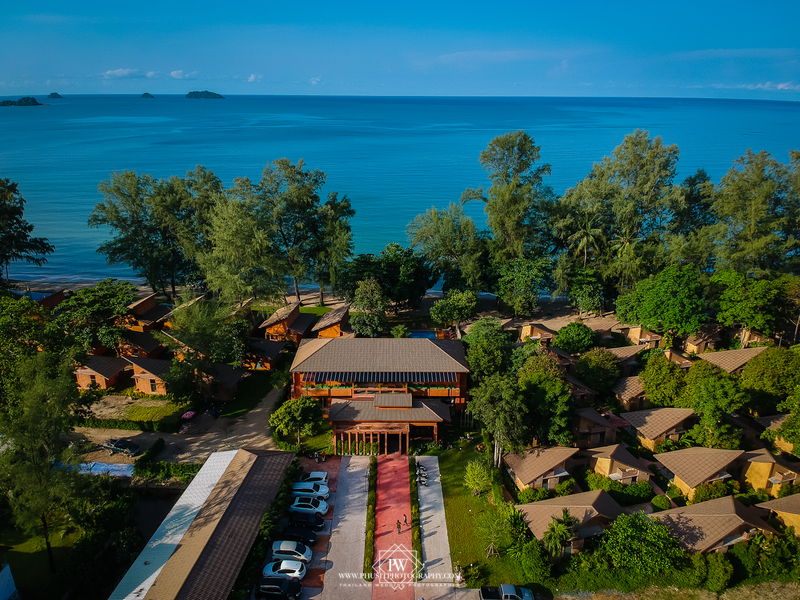 This is a beautiful resort located on probably the best stretch of beach on Koh Chang. The bungalows are very nicely designed, great aircon and the bed is top quality too. The gardens are lovely and very well maintained on a daily basis. The resort is very well located...close to restaurants, supermarkets, bars etc and the other beaches both north and south of Klong Prao are only 5-10 minutes away by taxi or scooter. The staff are lovely and I found them very friendly and helpful at all times. They are probably not from the tourist savvy districts of Phuket, Bangkok or Pattaya and are more like unassuming locals from the island or Trat, I suggest you ignore any negative feedback from arrogant tourists with attitude and enjoy your holiday. I stayed here 8 nights and I can honestly say it was the most relaxing 8 nights & days I've ever had. I will miss those amazing sunrises & sunsets and I felt very sad to leave. I thank the staff of Flora for a perfect getaway, I will be back. Not the first time we have booked this resort. We like to go to Koh Chang with the whole family, including the dogs!! This resort is Pet friendly and right on the beach. The bungalows are a good size with good facilities. You have to pay extra per night for the dogs but this is fine!! Will probably be booking this place in the near future!! We went there for a family trip and stayed in the beachfront bungalows, it was the best. The rooms were clean and the staffs were helpful. The breakfast needs to improve, esp. when people doesn't eat pork ( first day they only had pork dishes ). The overall stay was good! Our stay at Flora I Talay was excellent. Would recommend it to anyone. Waking up to waves crashing on the shore was terrific. The staff were great and very accommodating. The room was very comfy. The dining was great.